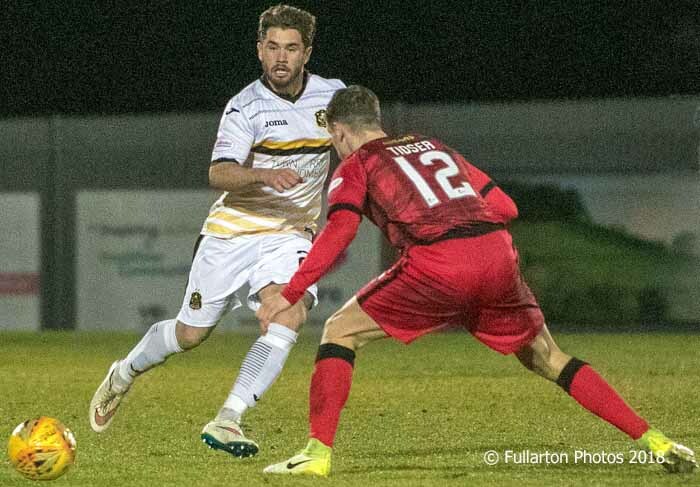 DUMBARTON lost to Greenock Morton for the second time this year when they went down 1-0 in a re-arranged Ladbrokes Championship match at the YOUR Radio FM103 Stadium. DUMBARTON lost to Greenock Morton for the second time this year when they went down 1-0 in a re-arranged Ladbrokes Championship match at the YOUR Radio FM103 Stadium in front of a 1,200 crowd. A good performance was not rewarded as their4 woeful luck in front of goal continued — especially when Irn Bru Cup hero Dimitris Froxylias missed an early sitter at close range. Sons started with an aggressive looking front four, including Andy Stirling (pictured) marking his 'second debut' for the club, and on loan Ranger Liam Burt making his first start. The home team had four good chances early on, with Froxylias, Burt and Stirling being denied by sharp goalkeeping from the Ton and one near miss. Then Morton started to come into the game and threaten. But by half-time it was still 0-0, with chances aplenty for both sides. Overall it was probably Dumbarton who were unlucky not to be ahead. It remained tight after the break, with a drilled effort just wide from Froxylias being the only chance of note. Entering the final 20 minutes both teams were still causing their opponents moments of pressure, but the game remained goalless. It was Jim Duffy's men from Greenock who broke the deadlock on 73 minutes. Tom O'Ware got his head to a corner and the ball rolled into the bottom corner of the net for 1-0 to the visitors. Moments later a decent opportunity to equalise for Dumbarton was headed just wide by Danny Handling. In the closing stages it was 'Ton who looked more likely to add to their lead, and Sons were unable to find a way through to claim something from the game.